Peter Jackson's The Hobbit had a strong finish ($32.9 million) this last weekend of 2012 as it just beat Django Unchained ($30.7 million) and Les Miserables ($28 million), all of which are doing better than expectations. In other news, Skyfall cracked the $1 billion club this week and is now the third movie in 2012 to do so (The Avengers - $1.512 billion and The Dark Knight Rises - $1.081 billion). 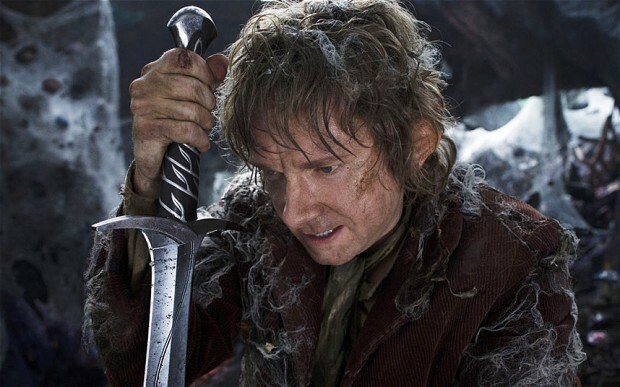 A few new movies opened Christmas Day and is providing stiff competition to Peter Jackson's The Hobbit. Hit Factor: Reviews have been very positive. Families may opt to see this since it's a musical. Flop Factor: It's over 2 and a half hours long. Not exactly happy family material, hence the name. Hit Factor: Very good reviews. Tarantino fans rejoice. Flop Factor: Another movie over 2 and a half hours. 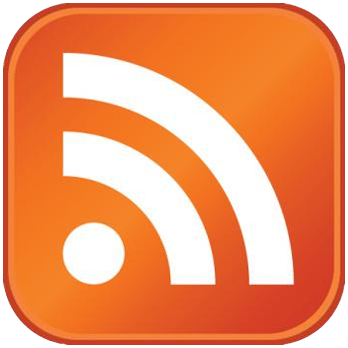 Plus, some people may not see it because of it's subject matter. Hit Factor: The only new family comedy this week. Flop Factor: This is getting the worst reviews of all the comedies out right now. 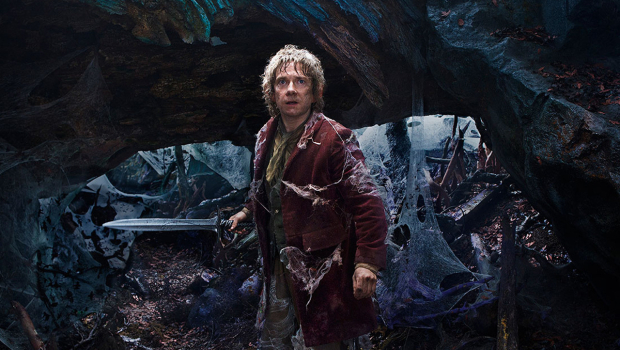 Peter Jackson's The Hobbit easily defended it's throne this weekend as a bunch of newcomers underperformed. 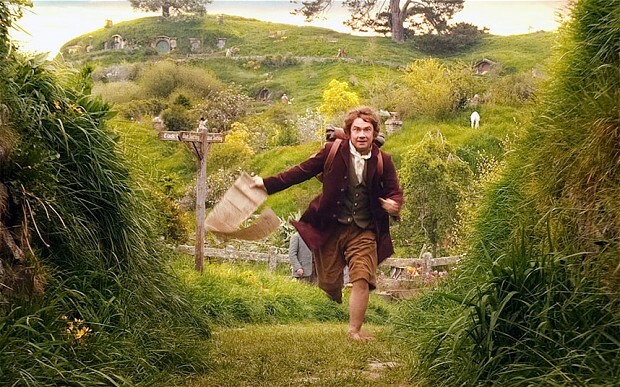 Even The Hobbit dropped a little more than expected (57% to $36.7 million). 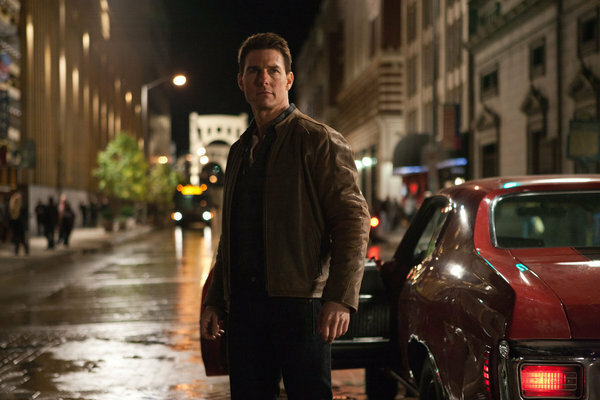 This weekend's top newcomer was the Tom Cruise vehicle Jack Reacher, which made a mild $15.6 million for second place. Though, since it's the Holidays, expect it to recoup some money throughout the next couple of weeks. A bunch of new movies hit theaters this weekend, looking to capitalize on the upcoming Holiday Season early. Hit Factor: Looks like an enjoyable Tom Cruise flick. Flop Factor: Still not sure if he fits that role. Hit Factor: It looks funny. Flop Factor: Judd Apatow movies, while good, most people just wait for the video release these days. 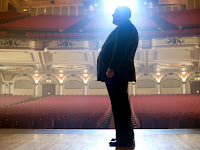 Flop Factor: The trailer seems very safe and bland, even for a movie starring Seth Rogen. Hit Factor: This movie is great. Flop Factor: Do we really need more old movies converted to 3D just for the sake of it? 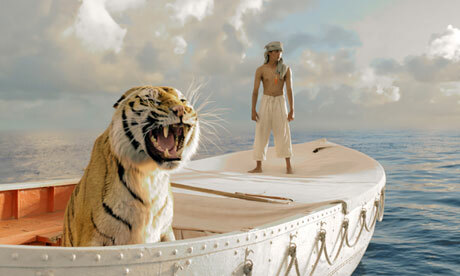 Pros: Visual Effects, especially the animals, mostly the Tiger. Beautiful looking film. Cons: Runs a little slow in the beginning. Conclusion: Despite the slow setup, the rest of the film is dazzling. Peter Jackson's latest, The Hobbit: An Unexpected Journey took in $84.8 million, beating out I Am Legend's $77.2 million from 2007, to become the highest debut for a December movie. Only one new movie hits theaters in wide release this weekend. Expecting to take a successful journey. Hit Factor: Let's see, Peter Jackson's Lord of the Rings Trilogy has made almost $3 billion total worldwide. Flop Factor: The Hobbit's early reviews are good, but aren't nearly as good as any of the Lord of the Rings movies. Also, people are love/hating the 48 frames per second thing. 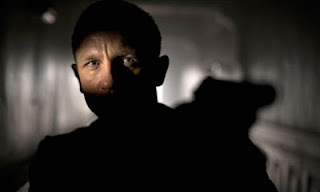 The latest installment of the James Bond franchise, Skyfall, managed to crawl back to the top spot on it's Fifth weekend of release ($11 million). Yes, it's a slow weekend, but a lot of movies have come out since then. Skyfall has also made $918 million total worldwide, which is also now Sony's highest grossing film of all time, beating Spiderman 3's ($890 million). Rise of the Guardians is holding up well after a soft opening weekend a couple of weekends ago... claiming second place this time ($10.5 million). 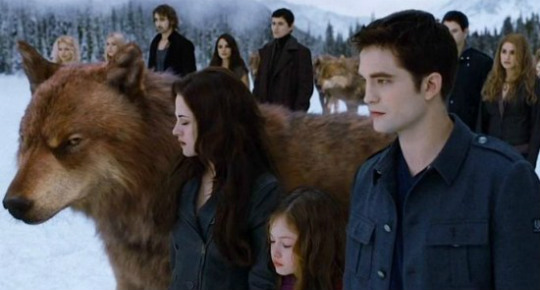 While The Twilight Saga: Breaking Dawn Part 2 slips to third ($9.2 million). And yes, Playing for Keeps is flopping. With a $6 million opening, it might be tough to recoup it's reported $35 million budget. One new movie enters theaters this calm-before-the-storm weekend, vying to beat The Twilight Saga: Breaking Dawn Part 2 and Skyfall from repeating the one and two spot again. Hit Factor: It has to compete with movies that came out a few weekends ago because last week's newcomer is pretty much absent at the box office. Flop Factor: Too bad this film looks pretty weak, despite having very slim competition. People will opt for the Oscar buzzing films, instead. So, it was pretty much a repeat of last weekend, with lower box office numbers, as The Twilight Saga: Breaking Dawn Part 2, Skyfall, Lincoln, Rise of the Guardians, Life of Pi, and Wreck-It Ralph all remained in the exact same positions as last weekend. 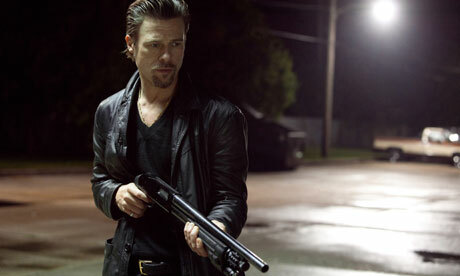 The Brad Pitt dark comedy, Killing Them Softly, had, well, a soft opening. It debuted in 7th place for $7 million total. Worldwide, Breaking Dawn Part 2 has grossed, $702.4 million. While, Skyfall has grossed about $869 million. One new movie opens in wide release this post Thanksgiving weekend (I think The Collection also opens this week, but unsure how wide it will open). In other words, look for a repeat of last weekend, with lower numbers. Flop Factor: Soft buzz. Weekend after Thanksgiving has proven not fruitful for big box office newcomers. In somewhat of a surprise, holdovers The Twilight Saga: Breaking Dawn Part 2 ($43.1 million), Skyfall ($36 million) and Lincoln ($25 million), all managed to score higher than newcomers Rise of the Guardians ($24 million), Life of Pi ($22 million) and Red Dawn ($14.6 million). Rise of the Guardians' fourth place finish underwhelmed many analysts predictions as most expected in the $40 million plus range. The reported $145 million animated flick now needs some strong legs and an overseas market to manage a profit. 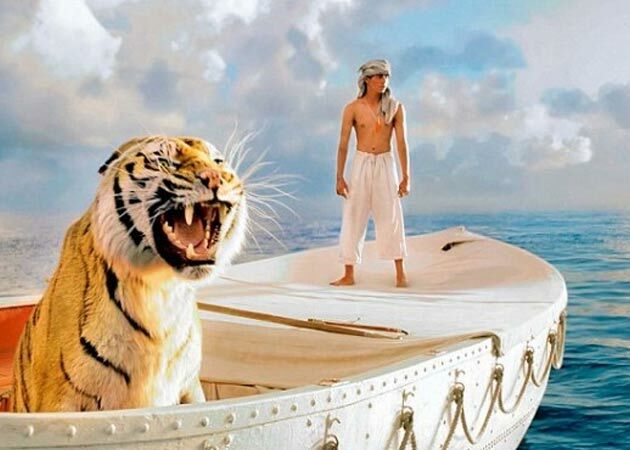 As for Life of Pi, it did better than expected (probably a result of positive word of mouth), as most thought it didn't really have an audience in North America. Still, it has some ways to go to recoup its $120 million budget. Despite Breaking Dawn Part 2's 70% drop from last weekend, it is still tracking slightly ahead of Breaking Dawn Part 1 (which went on to make $281.3 million domestically). And could possibly eclipse Eclipse's $300.5 million take (which is the highest in the Twilight Saga). Skyfall is now the highest grossing James Bond movie ever, both domestically and overseas. The Twilight Saga: Breaking Dawn - Part 2 looks to fend off a slew of newcomers this Thanksgiving Day weekend. Hit Factor: Early positive reviews. Of all new releases, this is the one I'd watch. Flop Factor: Buzz doesn't really seem strong for most of America. Hit Factor: Playing in the most theaters of any newcomer... sure bet that families will see this on a Holiday weekend. Flop Factor: Still has Wreck-It Ralph to contend with... And buzz doesn't seem as huge as it should be for a $145 budget animated film. Hit Factor: If you've already seen all the good movies out. Flop Factor: I'd rather watch Skyfall a few more times than this film. Oh, and the 11% on rottentomatoes doesn't help either. It's the end of 2012 and it's time to look forward to the 2013 movie season. It's quickly being shaped up to be a Sci-Fi year, with some pretty cool looking trailers. 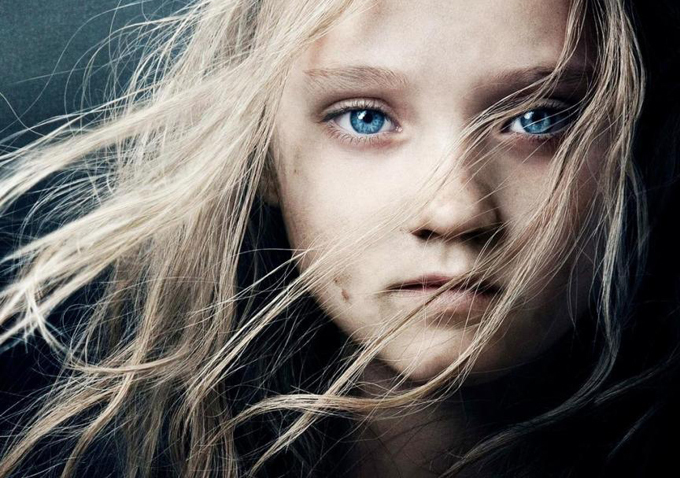 Here are the coolest movie trailers of 2013... so far. Looks full of popcorn fun, hopefully it's postponed release date means they're making it better. Director Baz Lurhmann's latest opus... so it should look good. Not the biggest Trek fan, but mayhem and destruction looks awesome from J.J. Abrams. Fast Five was entertaining, this looks like a step in the right direction. So, M. Night Shyamalan makes great trailers, and the movie usually doesn't turn out as expected... This is still a good trailer. I didn't really care for the teaser, but this trailer starts to show Zack Snyder's immense visual style, while keeping a darker Christopher Nolan tone. The look is amazing, despite the fact that I didn't really care for the Pirates of the Caribbean franchise. I think I'm swayed because of Hot Fuzz and Shaun of the Dead. Cons: Good, but not mind-blowing. Conclusion: Strong performances from Anthony Hopkins and Helen Mirren will get Hollywood talking. More of an "actor's" movie than anything else. The Twilight Saga: Breaking Dawn - Part 2 easily took the top spot at the box office this weekend with about $141.3 million... just short of the franchise record New Moon ($142.8 million) set in 2009. Worldwide, Breaking Dawn Part 2 has already made $340.9 million, which is a best for the franchise. 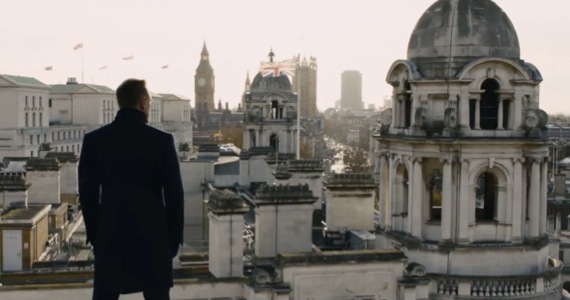 Skyfall, which dropped to second place ($41.5 million) now has a worldwide total of $669.2 million, making it the highest grossing Bond film ever. And possibly, on track to hit the $1 billion mark. As for Spielberg's Lincoln, it did reasonably well, for a third place finish of $21 million. A final piece in the vampire saga finally arrives, while a Spielberg-ian presidential flick hits theaters. Oh, and then there's that James Bond movie to contend with. Should be a giant weekend at the movies. Flop Factor: It's finally over. Hit Factor: Steven Spielberg plus Daniel Day Lewis. Flop Factor: Looks like a good, but possibly boring movie. Pros: Based off a true story. Good chance of an Oscar nod. Cons: Key moments in the film were obviously dramatized for more suspense. Conclusion: If it wasn't based off a true story, don't know if I would enjoy it as much. Pros: One of the better Bond films. Javier Bardem. Location shots. The look. Cons: A few small nit-picky things. Conclusion: Now time to find out which is better, Casino Royale or Skyfall. The latest James Bond flick, Skyfall, set a record this weekend for largest Bond opening ever, with about $87.8 million. This easily beats Quantum of Solace's $67.5 million. It has also made over $89 million overseas with a foreign total of $428.6 million and a worldwide total of $518.6 million. It should easily surpass Quantum of Solace's and Casino Royale's total take ($586.1 million and $594.2 million) rather soon. 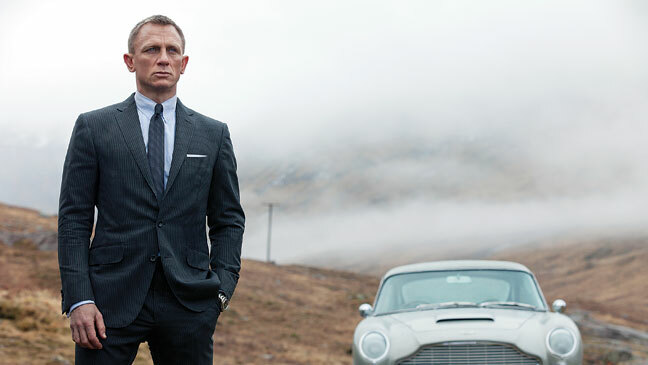 Hit factor: Reviews are high (92% tomatometer), some saying it's probably the best Bond yet. Flop Factor: Hardly possible, since it already made over $300 million overseas. 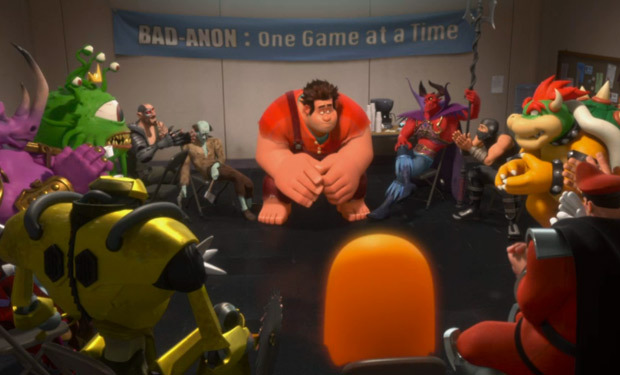 Disneys' Wreck-it Ralph easily took the top spot this weekend with $49.1 million. Which is a record for Disney Animation Studios (this does not include Pixar movies) as the previous record holder was Tangled's $48.8 million. Though, Wreck-It Ralph still has some ways to go to recoup it's $165 million budget. Robert Zemeckis' and Denzel Washington's up-in-the-air drama, Flight, managed a strong second place finish with $25 million, nearly matching it's $31 million budget in three days of release. Argo held on strong for a third place finish, for $10.2 million. It actually had the lowest percentage drop in the top 10. Meanwhile, The Wachowski's and Twyker's highly expensive art house film, Cloud Atlas, is still struggling as it made just over $5 million and has a very long way to reach it's reported $102 million budget. Here's hoping they have a strong overseas market. And Meanwhile again, the next James Bond installment, Skyfall, has already made $287 million overseas since opening last weekend. And old school video game character and an airplane pilot lead this weekend at the movies. Hit Factor: No other animated flick out besides Hotel Transylvania. Flop Factor: Disney's last kid flick Frankenweenie didn't fare too well, even with positive reviews. Hit Factor: Director Robert Zemeckis back directing live action since Castaway. Flop Factor: He made those mediocre (but technological breakthrough) animated films since. Hit Factor: Looks fun in a campy way... managed to sign on Russel Crowe for this film. Flop Factor: Don't know if it's something I'd want to watch in the theater. The big budget Arthouse film Cloud Atlas couldn't take the number one and two spot this weekend as holdovers Argo and Hotel Transylvania took claim. Though Cloud Atlas had the highest screen average in the top ten, it's 3 hour running time and mediocre Cinema Score (C+) deterred movie goers. Though possibly it could have legs, this opening weekend does not bode well for the $102 million flick. As for the other films that came out this weekend, they pretty much all failed... with Silent Hill: Revelation coming in 6th with $8 million, Fun Size in 10th with $4 million and Chasing Mavericks in 12th with $2.2 million. In other news, the new James Bond flick, Skyfall, debuted overseas to the tune of $77.7 million... which is pretty damn good. 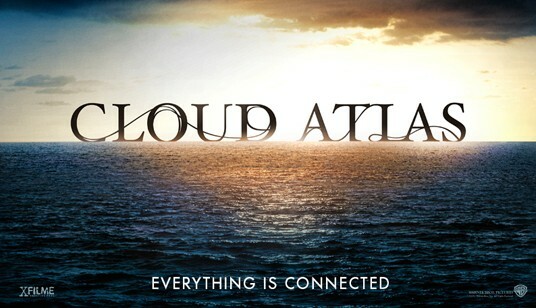 Cloud Atlas and other films hit theaters this weekend. Hit Factor: Wachowski's are visionary. It looks like a big budget risk, with an idea that's different. Flop Factor: As a result, target audience for this film is very narrow, in relation to it's huge budget. Hit Factor: This is the time of year to release scary films. Flop Factor: Buzz on this film has been very low, so probably not even close to Paranormal Activity expectations. Hit Factor: Could be good. Flop Factor: For some reason I thought it was a documentary. Flop Factor: Didn't laugh once during the trailer. The fourth installment of the Paranormal Activity franchise easily took the top spot at the box office this weekend with $30.2 million. However, the franchise is showing some signs of fatigue as Paranormal Activity 2 and 3 debuted to the tune of $40.7 million and $52.6 million respectively. Despite this fact, the filmmakers are laughing all the way to the bank as this 4th installment only cost $5 million to make, and is still doing well overseas. In fact, Paranormal Activity 4's weekend gross is more than twice as much the budget of all the Paranormal Activity's added together. 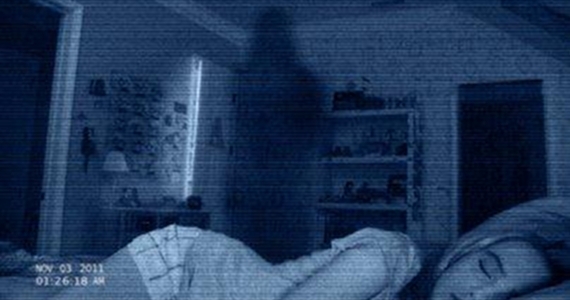 So it should be no surprise as Paranormal Activity 5 has just been greenlit. 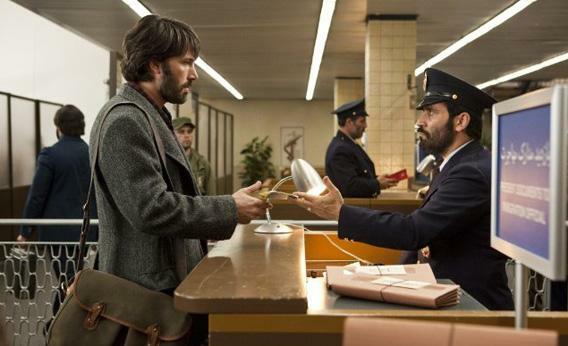 A couple new movies hit theaters this weekend, battling against Taken 2 and Argo. Hit Factor: These movies don't cost that much, and thus, do exceedingly well. Flop Factor: Every sequel to the Paranormal franchise has made less than it's predecessor. Hit Factor: Based off the popular books-turned-into-movies: Along Came a Spider and Kiss the Girls. Flop Factor: Even though he's in Star Trek, I'm still on the fence about Madea playing a serious leading role.